Leading Manufacturer of gutter guard from Nagpur. Being the most respected organization guided by experienced and knowledgeable professionals, we provide Gutter Guard. 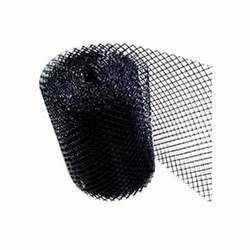 The offered gutter guard is used in general residential area it is not a fire proof mesh and therefore not usually used in fire risk zone. This gutter guard offers a good protection against leaves twigs and barks and come in a range color. The gutter guard offered by us is checked on numerous parameters in order to eliminate all possible flaws. Looking for Gutter Guard ?